Winter has seemed long already, but my father liked to remind me of Candlemas Day on February 2nd as marking winter’s halfway point….Luckily it also marks something more inspiring, the arrival of some lighter mornings, to complement the lighter afternoons we have already. Another February landmark is in mid month when sunlight at this latitude reaches close to ten hours a day, enough for plants to make healthy growth if temperatures are high enough. 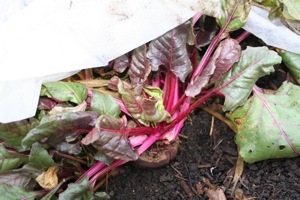 I always notice the difference in polytunnel salad plants whose leaves become firmer and glossier, and a little larger at each of the weekly picks. 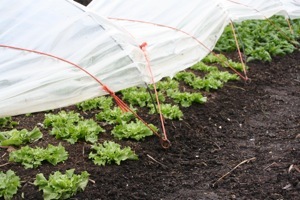 Plants in the tunnels and greenhouse have survived this cold winter in good shape, apart form some lettuce in the less aerated bottom tunnel, which at 60 feet long, with only two narrow doors (always open through winter, night and day) has too little fresh air for some plants. 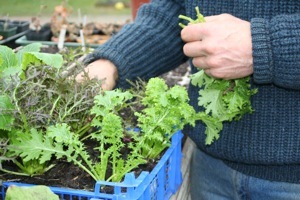 Looking ahead, if you have a propagating space there is plenty to sow now, starting with lettuce, spinach, early cabbage (such as Hispi and Derby Day), onions, spring onions, parsley, orach, dill and tree spinach. One plant of the latter is probably enough for most households! 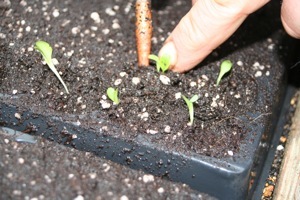 All the seeds I mention will germinate in a cold greenhouse, but can be speeded up if you have room on a windowsill. I started some lettuce like that in January because I needed photographs for Amateur Gardening magazine (a late February issue), and seedlings became leggy in the relative lack of light, so I pricked them out as deep as possible to make plants sturdy again, now in the greenhouse and frozen as I write this. 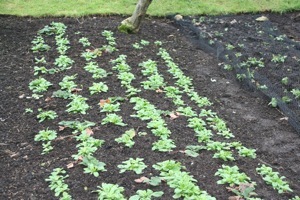 All the winter frosts have been great for breaking up lumps of manure and compost on the surface. I run a long-pronged manure fork through it on the beds’ surface, or use the fork in a tapping motion downwards on the beds to knock out lumps. 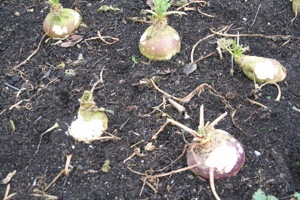 The best tilth is from my own compost which has broken down to a beautiful soft humus, most inviting for sowing, but I am not planning any until sowing parsnips in March. 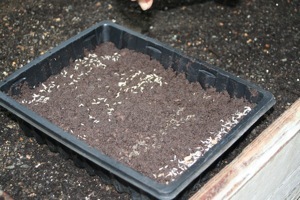 However, broad beans can be sown now, and will take the best part of a month to emerge. 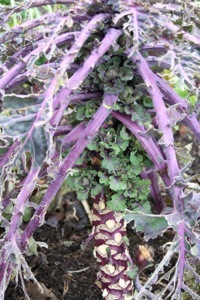 This is a time of year to be patient with sowings. Seed packets like to give optimistically long windows of opportunity, maybe hoping some early sowings will perish in cold soil and more seed has to be bought! 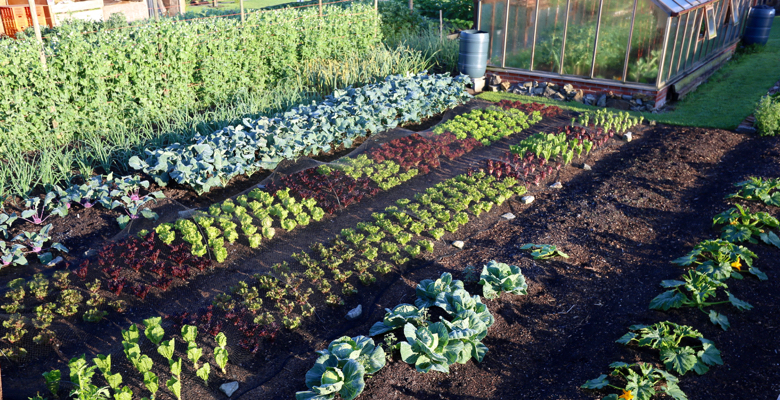 Throughout spring, as growing conditions improve, later sowings tend to catch the earlier ones and are often more healthy.